Independent craft brewer BrewDog is offering beer lovers the ultimate immersive experience 35,000ft in the air with the launch of the world’s first craft beer airline. BrewDog Airlines takes flight in February 2019 with a round-trip between London and Columbus, the capital of Ohio State and home of the Aberdeenshire brewery’s US HQ and its craft beer hotel, The DogHouse. Passengers aboard the chartered Boeing 767 will partake in a unique beer tasting experience as they sample a limited-edition BrewDog beer that has been specifically brewed to adapt to the reduction of taste and smell sensitivity in high altitudes. The beer will be presented by Cicerone-trained cabin crew, offering expertise in beer 35,000ft in the air. BrewDog inflight care packages will be available on board, including BrewDog eye masks and blankets. The round trip includes a four-night stay in Columbus, where guests will tour BrewDog’s state-of-the-art brewery, visit The DogHouse Hotel, and explore BrewDog’s dedicated beer museum. Guests will also enjoy a tour of Columbus’ many breweries, bars and restaurants as well as take a day trip to Cincinnati for more brewery tours. The BrewDog Airlines experience will take place between February 21st and 25th 2019. Tickets are exclusively available to BrewDog’s community of 90,000 Equity Punks, and are priced at £1,250 per person, including all flights, excursions and accommodation. Discounts are available to those beer fans sharing a room. BrewDog will also be running a prize draw for five lucky winners, each with a plus one, to secure a place on the trip via social media. Prospective high-flying craft beer fans should visit BrewDog’s Facebook, Instagram or twitter to be in with a chance of winning one of these limited pairs of places. “We took craft beer to the depths of the seas when we brewed an IPA at the bottom of the North Sea. 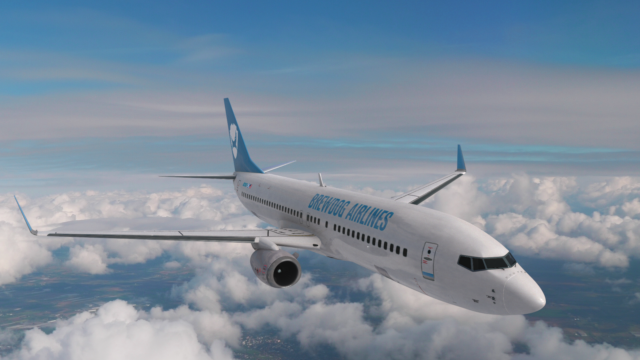 Now, we’re turning to the skies aboard BrewDog Airlines.We’re on a mission to open minds and excite people about what craft beer is and can be. Booking a seat on the plane is a must for any serious beer lover.